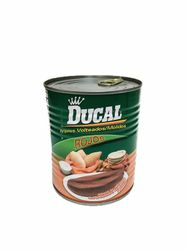 Best quality in red beans cooked and seasoned for the easy preparation of the classic companions of Mexican, central American and south American dishes. A cholesterol free food and good source of protein. Ready in just minutes. Heat the can in a water bath for 10 minutes or fry as desired. If you do not eat all the product, immediately store it in a clean container and keep under refrigeration. Ingredients: water, red beans, vegetable oil (may contain soybean, cottonseed or sunflower oil), salt, onion and garlic. 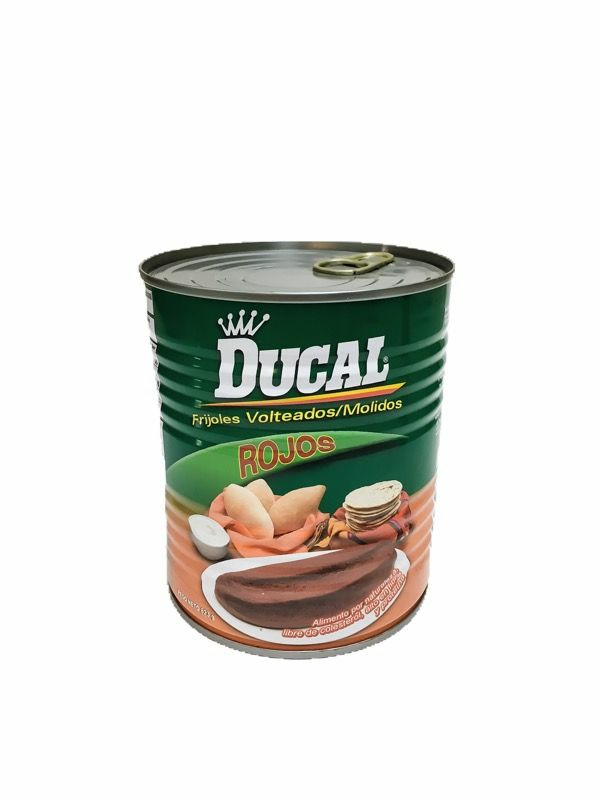 Para acompanar los tradicionales platillos Mexicanos, centro americanos y sudamericanos "Ducal" Frijoles Rojos Volteados (Refritos) ofrece la mejor calidad y sabor. Alimento libre de Colesterol y gran fuente de proteina. Esta listo en solo minutos! Caliente la lata en bano Maria por 10 minutos o freir su contenido al gusto. Si no consume todo el producto, transfiera el resto a otro recipiente y mantengalo en refrigeracion. Ingredientes: agua, frijol rojo, aceite vegetal, sal, cebolla y ajo. I'm actually amazed at how great these beans are! I use them to make burritos, and they really do all the work for me! YUM! Really good. It's nice to have refried beans in a variety of flavors. I use them in sandwiches to cut down the amount of meat I eat.